After a lengthy wait and anticipation reaching a height with our preview yesterday, I was pleased to see the update come in earlier than the 12pm EST estimate given by several articles. I woke up this morning, checked for system updates and instead of the usual letdown, I was happy to see that 2.3.15 awaited my click of the Update button. Setup was straightforward, a restart was needed, and I was able to keep both Launcher Pro and Widget Locker on the device without any problems. In our preview post, I mentioned three features I was looking forward to the most, so here are the immediate observations. Being a former iPhone and current iPad user, I'm accustomed to experiencing the web without Flash. To be honest, I haven't felt like I've missed much, but it's interesting to note what happens when you get used to life without something like Flash. Suddenly, with Froyo, I find myself constantly wondering which sites I would have been able to see before today and which ones required the update. Certainly flash game sites like Kongregate were unavailable before and now play reasonably well. There's also flash animated introductions such as the one found on my friends' graphic design site (definitely worth a look). In the end, it's been a nice bonus, with more observations to come, and without a significantly adverse effect on performance. As mentioned in the preview, the lack of Exchange support on my Droid X was a potential dealbreaker, and I've been living on the third party app, Touchdown, for these first 2 months. 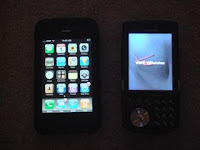 Although I generally have very positive things to say about the program, and I appreciated both the free trial and the subsequent free license from Motorola, I was still looking forward to what the native application could do, as I had been experiencing more and more FC (force close)'s with Touchdown as of late. There was good news right off the bat, as the setup for the Corporate Sync feature went very quickly and without a hitch. To compare, on 2.1, I would get stuck when trying to sync my account and after 30 seconds, the process would end in a failure. With yesterday's system update to 2.3.15, once I added my credentials and chose my settings, my work email and calendar immediately began to sync. With Touchdown, I was definitely impressed with how it handled push. So far, with Corporate Sync, I don't feel that push really means push, as I'm not getting messages as quickly as I did with Touchdown. Time will tell whether I'm correct in this observation or not. Another interesting side note is that I was forced to set a PIN which now gets prompted for every once in a while. This occurred with Touchdown as well, but it didn't seem to be as frequent. 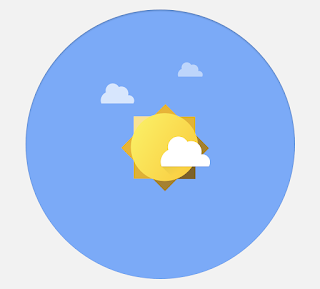 I will say that I enjoy the overall interface of the native email client, and I certainly appreciate having my work calendar smoothly integrated as opposed to relying on a Google Sync with Outlook. There was a noticeable speed increase in the browser. Loading pages, especially those that are lighter in nature seemed extra speedy, though this will need to be tested over time. I noticed slightly less choppiness in standard functionality, including using Launcher Pro. However, as noted in the preview, I've been very pleased with the overall speed of the Droid X even prior to Froyo. Also included in the system upgrade have been several small but well received features such as improved volume for notifications, updates in the Gmail client (now updating separately from the system), and an increase in the number of applications available in the multitasking switcher. More to come via Twitter. Hope your Froyo is just as sweet.